Top 5 News: Android 4.4 features, WhatsApp update, Note 3 tips + more! As the clock continues to tick away the hours until Android 4.4 KitKat is finally revealed, we pulled together all the screenshots, features and changes we could find to keep you up to date with what we know so far. The Google Experience Launcher, transparent status bars, icon and app drawer changes, Tap & Pay, cloud printing and more filled our rundown of the major new features to expect in KitKat. We all love WhatsApp, there's no questioning that, but every time there's an update to the world's most popular messaging app we love it just a little bit more. With the most recent update to the WhatsApp for Android app, you now have the power to quickly and easily change your phone number, avoiding those pesky backups and reloads of your contacts and chats if you change your SIM or smartphone. It seems you guys are just as big a fan of offline maps as I am, because this one-day-only app deal flew up the charts. With offline search functionality, Wikipedia travel guides and 6,700 offline maps to choose from, City Maps 2Go was a massive hit, even if it was only free for a day. 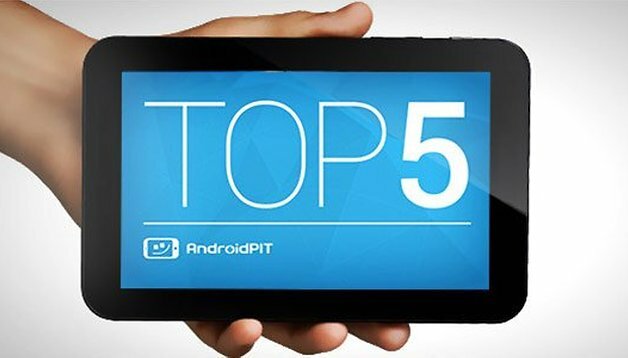 There's other tips in the article so check it out and keep an eye on AndroidPIT's app deals, because we'll keep you posted with all the best deals in the Google Play Store. There's many good reasons why the Galaxy Note 3 is occupying a lot of our head-space around here: it's one of the best devices we've seen all year and gets better the more we play around with it. We did a video recently on the various S Pen features of the new phablet, and then found so many more cool things to do with it we had to write another article. If you've got a Note 3, or you just want to know what it's capable of, you need to read this article. Nice to see there's still some HTC fans out there. Or at least, HTC One owners who are still keen for their next update! The launch of the HTC One max also brought some news on the update schedule for the HTC One and HTC One mini. The One should have the Android 4.3 rolled out by the end of October, although not in every country at the same time, with the One mini following suit by the end of the year. If you wanted to read our hands-on review of the HTC One max, or catch up on any of the other hot news this week, get on over to the main AndroidPIT site and get all caught up!